This page outlines the video requirements for certification. You must submit the videos in addition to fulfilling the other certification requirements for your level as outlined on the main Certification Requirements page. Please visit the FAQ page for answers to common questions. All videos must show you using TAGteach with people (as opposed to clicker training with animals). Before you make your videos be sure to review the information on this page and on the Video Assessment Criteria page, which tells you exactly how we will assess your videos. The videos do not need to be high quality and they will not be shown to anyone else without your permission. Phone videos like the ones shown below are fine. As long as we can see what's happening and hear the audio, that's sufficient. Please send an email to AnneW@tagteach.com and Anne will provide you with instructions and a link to upload them to Google Drive. We are looking for fluency in these videos. For the TAGteach Fundamentals and the TAGteach Session Script videos we have provided examples below. These show the level of fluency we are looking for. We suggest that you practice until you can do it perfectly before you attempt to film it. For videos showing your actual tagging sessions, the assessment criteria are outlined below with the video requirements. Click here for the detailed assessment criteria and checklists. We are looking for fluency in these videos as well. If mistakes happen and you deal with them appropriately that's great. If you are fumbling for words or doing a lot of extraneous talking, the video will not meet the assessment criteria. We suggest you film and watch yourself to see if the videos meet the assessment criteria as outlined below. If not, practice some more until you get a video showing you teaching in a fluent manner. You will need to get a video release signed to film at work or with people outside your family. We would also appreciate it if you would sign one for yourself and for members of your family if you would permit us to share your video outside your assessment. Click here to download our photo/video release form. Regardless of the level of permission given in the release, we will not share any video in any way outside your assessment without your permission. Once you have made your cue cards, you need to make a video exactly like the one below. Your video must show you using the cue cards fluently as in the demo here. If there are mistakes or stumbles over words, please do another take until you get it perfect. You can watch it and write down the script so you know exactly what to say. Click here to download the script for this. Copy the highlighted parts of the script onto the cue cards. 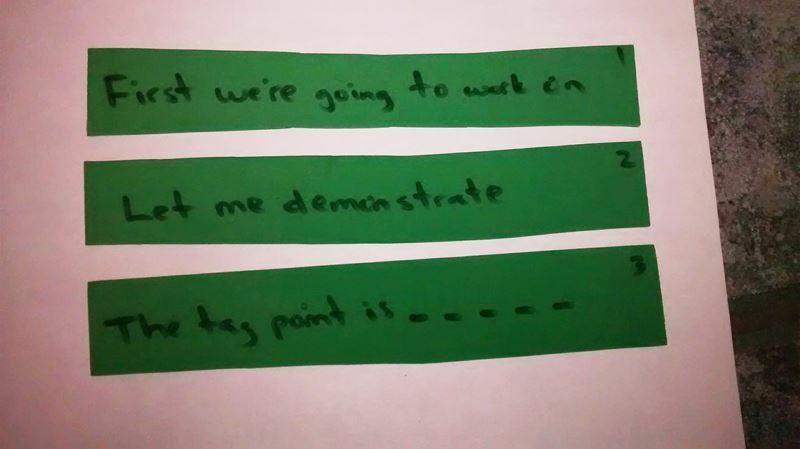 Fill in the script blank spaces with whatever tag point information you want to pretend to teach. Use our volleyball example as in the video below if you like. Note that this is not a real teaching session. The purpose is just to show you reciting the parts of the script fluently. You don't need to have another person in the video. You can just pretend there is a learner. 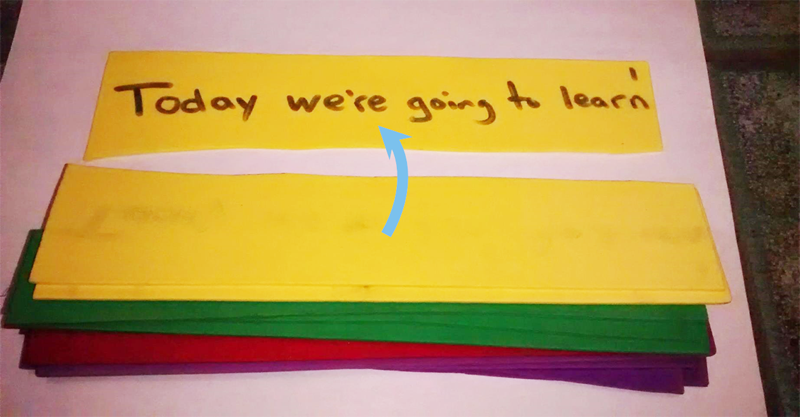 Stack the cue cards so that you can turn them over in order. Put the first one down face up, then put #2 on top of that then #3 etc until they are all stacked. Flip the whole pile on its horizontal axis so that it's face down with the first card on the top. Then you can flip them over one at a time as you go through them to practice and and make the video. 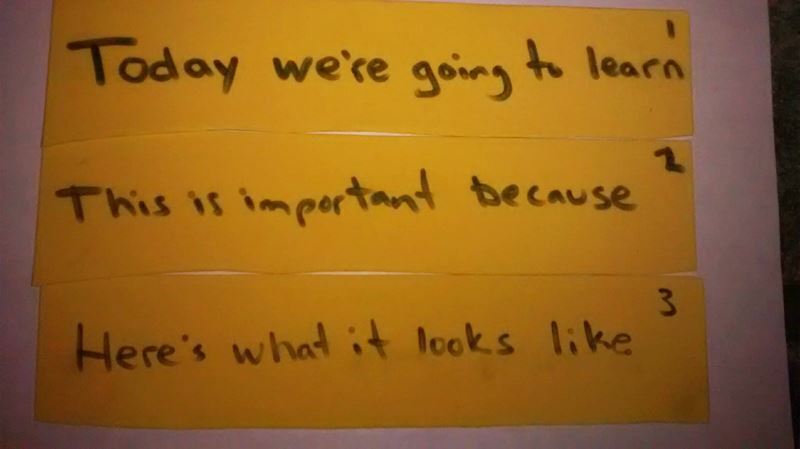 Once you've made your cue cards, you need to make a video exactly like the one below. Your video must show you using the cue cards fluently as in the demo here. If there are mistakes or stumbles over words, please do another take until you get it perfect. You don't need to have a second person in the video. You can just pretend you're talking to a learner. You don't need to add captions. Make lots of copies of the script and use it while you are teaching until you are very familiar with using the TAGteach wording. You may not always use all parts of the session all the time, but you will always use the phrasing as in the script. 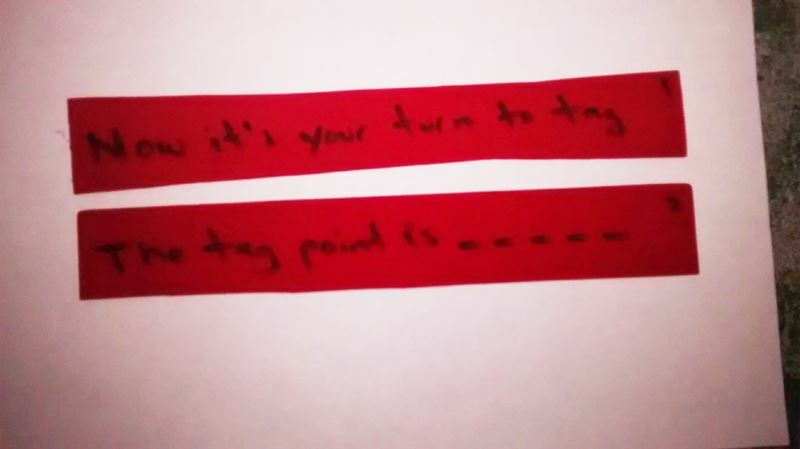 For example, instead of saying "I will tag you", you'll say "It's my turn to tag". Instead of saying "You tag me", you'll say "It's your turn to tag". This script keeps talking to a minimum and helps the teacher to be fluent and not stumbling around for words. Please submit one video 5-8 minutes long that shows you tagging with an actual learner. This can be any type of teaching situation with any learner. You can use family members as learners. Your video should show as many parts of the script as is appropriate for your learner. If the learner is capable of tagging, then we'd like to see Learner Tags Teacher and you saying "It's your turn to tag". If your learner is non-verbal and you are using a shaping protocol the video should show a session from beginning to end. 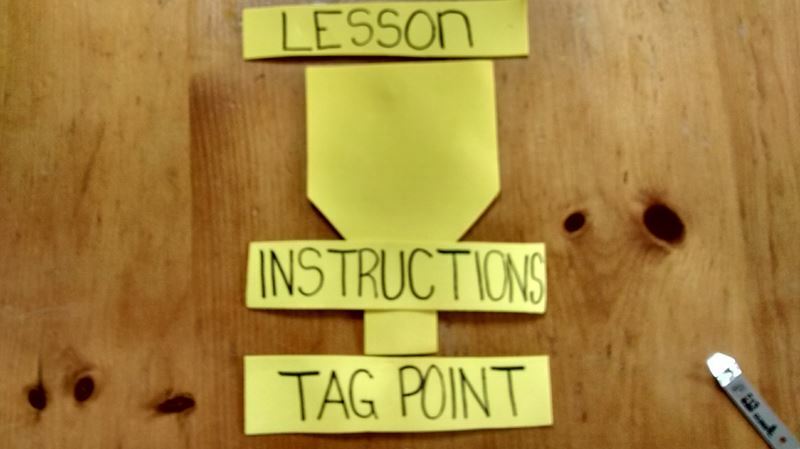 If your learner is verbal and you're using tag points, we'd like to see you deliver instructions and tag point for at least 2 tag points to show the transition between tag points. The video should show the transition from one tag point to another. If it's appropriate for your learner we'd also like to see Learner Tags Teacher and the transition to Teacher Tags Learner. The fewer words you use the better. If you leave words out of the script, that's fine. If you add extra words, the video will not be acceptable. Click here to see the assessment criteria. You can watch your video and judge for yourself. If it doesn't meet the criteria you can practice some more and try again. Here are examples of two videos that would meet the criteria for video submissions. In this video the teacher uses the complete script for some tag points and for others she only uses some parts. She adjusts to suit the learner. This video would meet the requirement for using the full TAGteach Session Script. Here's another example. In this video the teacher doesn't use the full teaching sequence and only some of the script. She reduces the language and the complexity to suit the learner. See below in the Level 2 section for an example of a video that uses all the parts of the script. 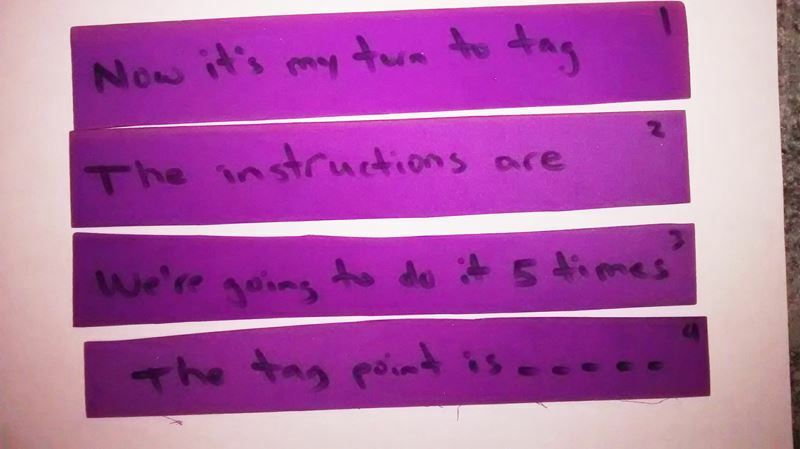 For Level 2 certification you need to submit the TAGteach Fundamentals and TAGteach Session Script videos as shown above if you have not already submitted these. Even if you already have your Primary Certification or if you have attended live events (Primary or Advanced) you must submit these two videos. In other words, you must submit these two videos at some point regardless of your prior experience in order to get your Level 2 Certification. Even if you have demonstrated this live at a Primary or Advanced Seminar, you still need to submit the videos. 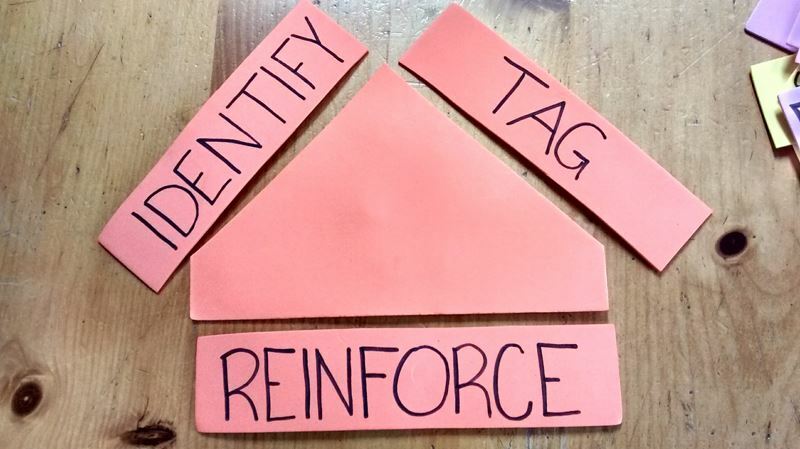 Submit 3 videos showing you conducting 3 different TAGteach sessions (max length 8 min each). Click here to see the video content criteria. At least one of these videos needs to show you using the full Focus Funnel and the TAGteach Session Script in action. If this isn’t appropriate for the learners you normally work with, you’ll need to find another learner for the purposes of the video. This can be anyone and you can teach them anything. Your other 2 videos do not need to show the full script if this is not appropriate for your learner. 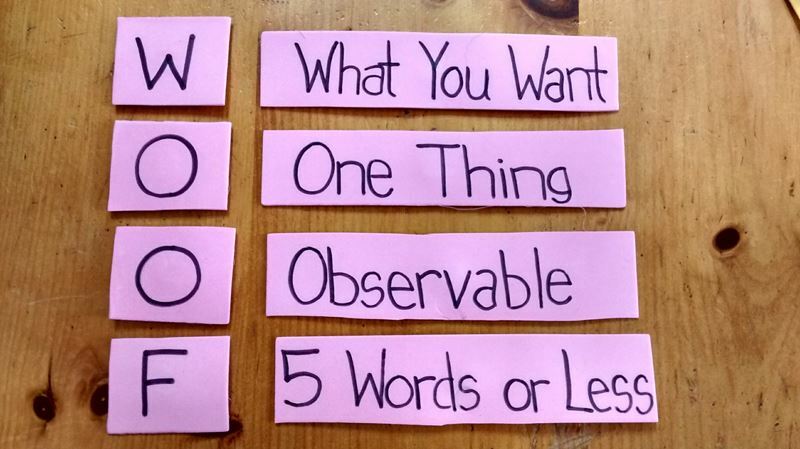 Your videos should show as many parts of the script as is appropriate for your learner. See above for example videos. If the learner is capable of tagging, then we'd like to see Learner Tags Teacher and you saying "It's your turn to tag". If you have previously submitted a video for your Primary Certification, please rewatch it. If it meets our current criteria, then you only need to submit two more. If your previously submitted video does not meet our current criteria, then you'll need to submit three new videos. If you are not familiar with the TAGteach Session Script, please register for the free online mini-course on the TAGteach Fundamentals and this will bring you up to date on our current best practices. For Level 3 Certification you need to submit three videos showing three different applications with 3 different learners. If the videos you submitted for Level 2 meet these criteria then you don’t need to submit additional videos. If you have already submitted videos for a previous level, the most you'll need to submit 2 additional videos showing 2 different applications, with 2 different learners not shown in your Level 2 videos. Videos #4 and #5 don't have to follow the script exactly. You should adapt as necessary for the optimal success of your learner. The language in the videos must conform to our guidelines as outlined at this link. The criteria described above apply to all the TAGteaching videos. Please re-watch any videos you submitted previously as our criteria may have changed. If they do not meet the criteria as outlined at this link then you’ll need to submit new videos. What do We Mean By Different Applications? For the videos to count toward Level 3, they must show you teaching in 3 different applications with 3 different learners. If you are teaching learners with learning disabilities, you may submit 2 videos showing you teaching with this population. They must show 2 different teaching applications. For example one could show some kind of schoolwork and the other could show a physical skill or a social skill. Your third video must be with someone with no learning disability and must show a skill not taught in either of your other videos. If you are teaching people without learning disabilities, you must submit 3 videos showing different applications. Two of these can be within the same category. For example you could submit videos showing 2 different sports, but the third one must be something outside of sports. If you are a music teacher you could show teaching of 2 different instruments, but the third video must be outside music instruction.